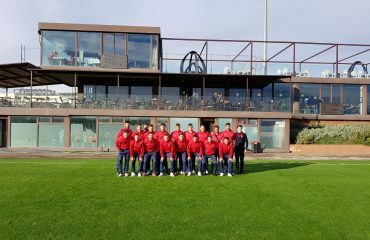 The U15 team of this Nordic country will have footballers William Bjeglerud and Christos Zafeiris, two promising players who have improved their soccer skills in the Soccer Inter-Action sports facilities in Spain. Very good news comes to Soccer Inter-Action from Norway. Their national U15 team has given its list of players summoned for a important tournament in Italy and the names of William and Christos appear on it. 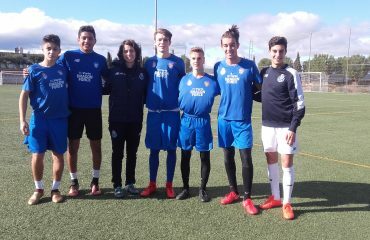 William Bjeglerud and Christos Zafeiris are two young cracks who have chosen the SIA Clinic program in more than one occasion in our sports facilities located in Enguera (Valencia, Spain). 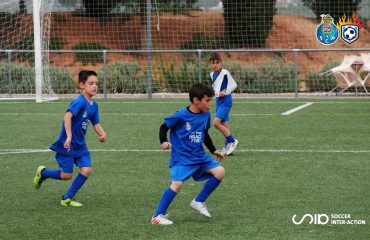 Both players have done several SIA Clinics with the objective of training with the profesional coaches of our International Soccer Academy and Football School FC Porto Dragon Force. The methodology implemented by our coaches is one of the secrets for these football promises will can improve their skills and they will can play in the elite of this sport. In fact, the improvement of William and Christos is glimpsed at first sight every time they have passed through the Center of High Performance of SIA and this has been key to now become part of the national team. The ‘Delle Nazioni’ tournament will be in April and May and in this tournament 16 important teams from all over the world will compete. Norway will play the first phase against Portugal, Costa Rica and Austria. Soccer Inter-Action will be very attentive to the development of this competition because it is a great opportunity to see the great level of William and Christos, as well as the rest of the members of their national team. The relationship with Norwegian soccer is excellent at Soccer Inter-Action and a lot of young players from this country have train in our High Performance Football Center in Spain. Here, they have been able to enjoy with the sports facilities perfectly suited for the elite footballer, with fields of natural grass, artificial grass and pitchs of technification. In addition, it has all kinds of resources: from restaurant to physiotherapy, clinic, leisure or video analysis rooms.